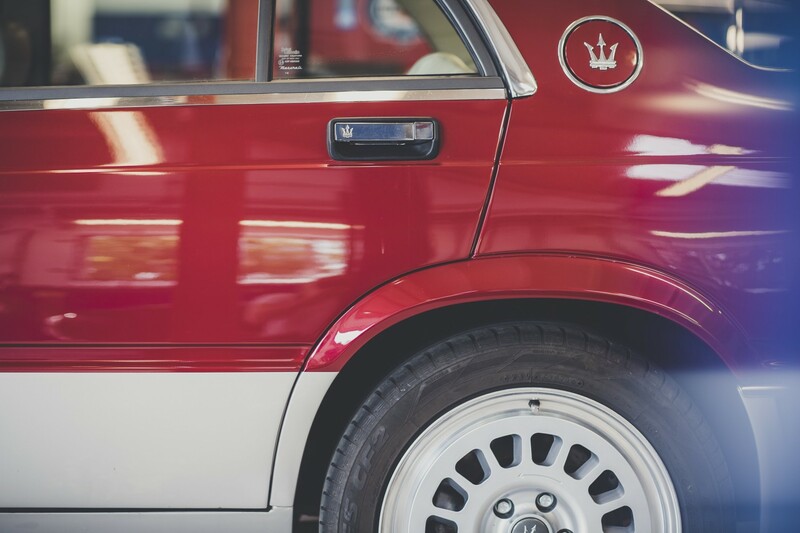 For many years considered the poor relation of the Maserati range, in recent times interest has grown in Biturbo-era cars and we have now started restoring them. 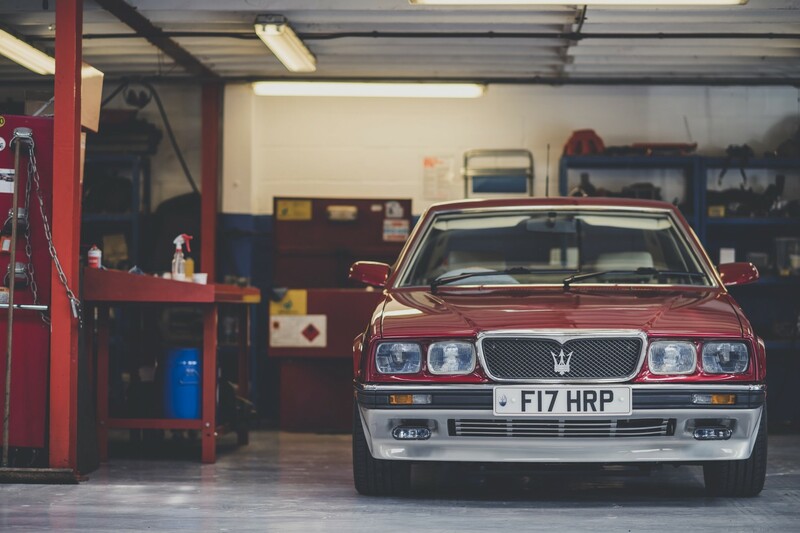 This 430 Biturbo has belonged to a stalwart of the Maserati Club for nearly twenty years, but sadly for the last few of those years it had been locked away in his garage. 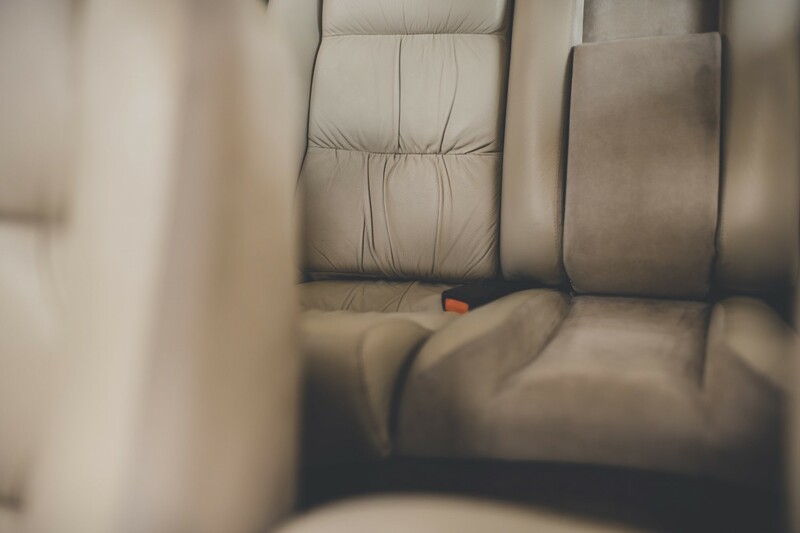 However, in late 2016 the decision was made not only to keep the car but also restore it and along the way introduce some modifications to make it more user friendly in modern driving conditions. This was not going to be a Concours queen, but a car to use in anger. Stripping the car to a bare shell and then removing the paint revealed all the usual Biturbo corrosion issues. 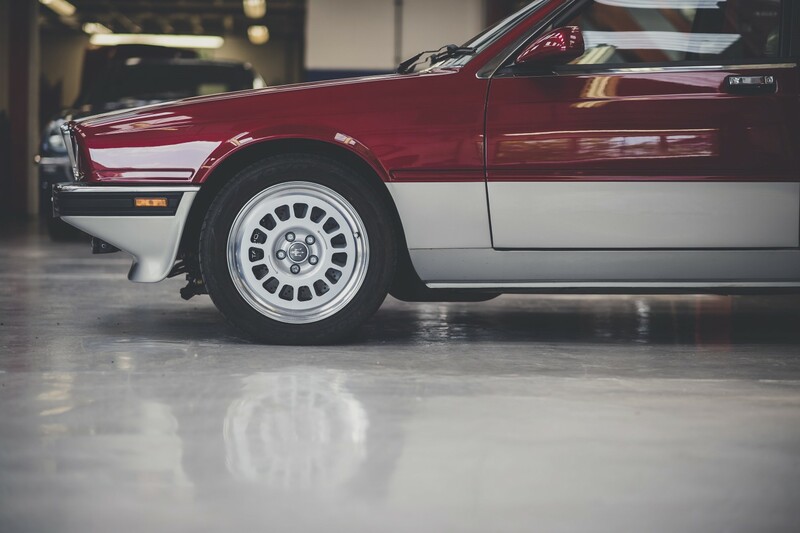 The bottoms of the doors, the rear wheel arches, the sill ends, the floorpan corners and the bonnet leading edge. A combination of new old stock panels and fabricated repair sections was commissioned, and the resulting shell is now structurally 100%. With more diligent rust prevention than it would have had originally, it was time to consider the colour. 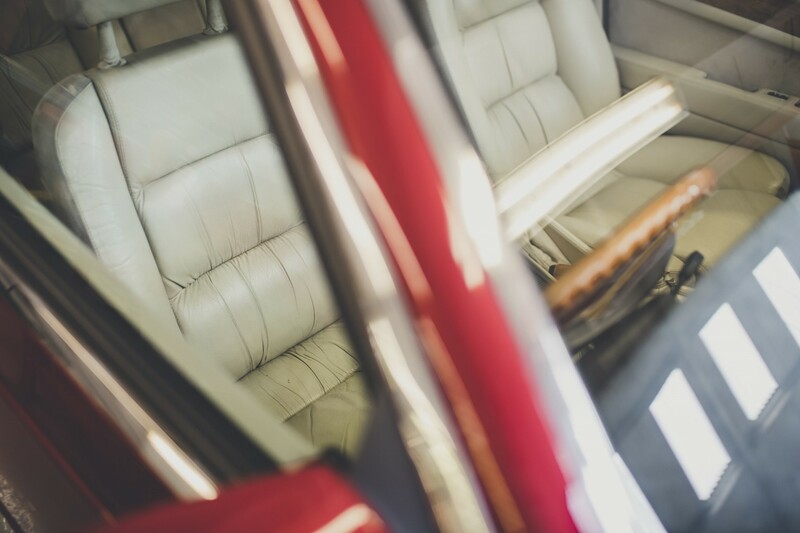 A number of 430s came with a two-tone colour scheme and the owner wanted to reference this. 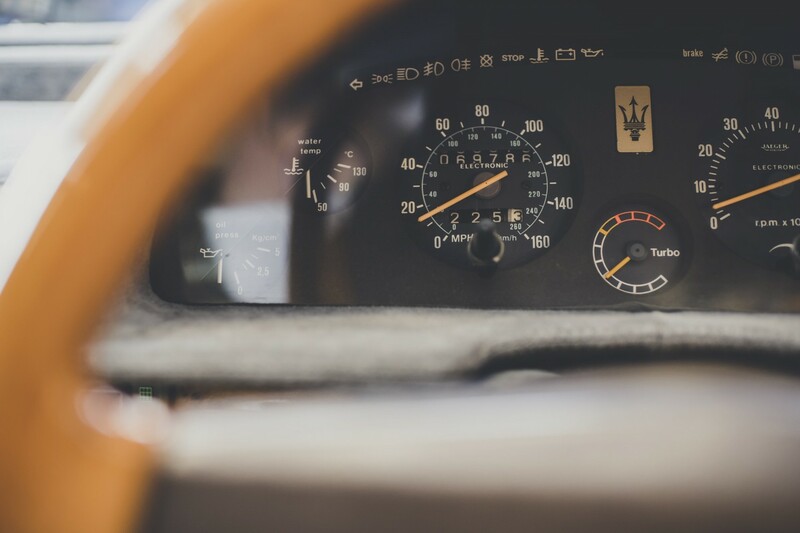 He also wanted to use original Maserati colours, though not the original black. In the end he chose Rosso Energia, a modern colour, with a champagne silver lower half. 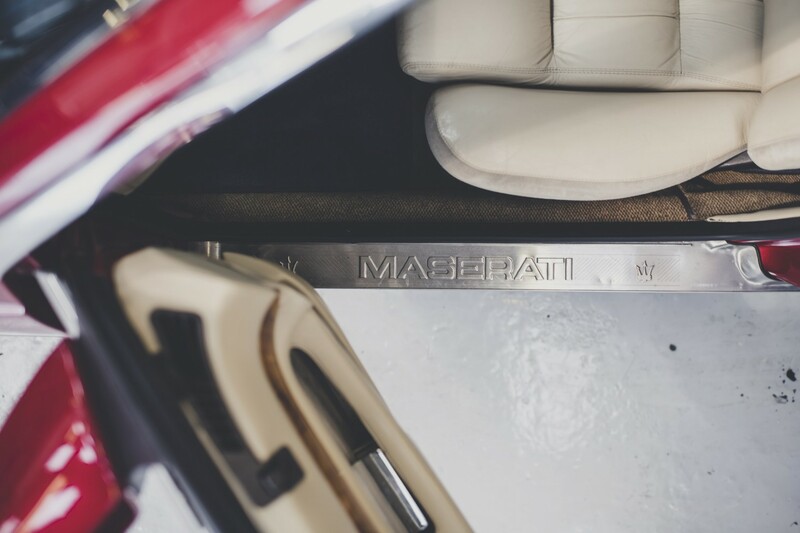 Once painted, the car was reassembled using many new trim parts that are still available from Maserati. The engine was not particularly high mileage but was stripped and cleaned. New turbos were fitted and everything in the engine bay was detailed and serviced. 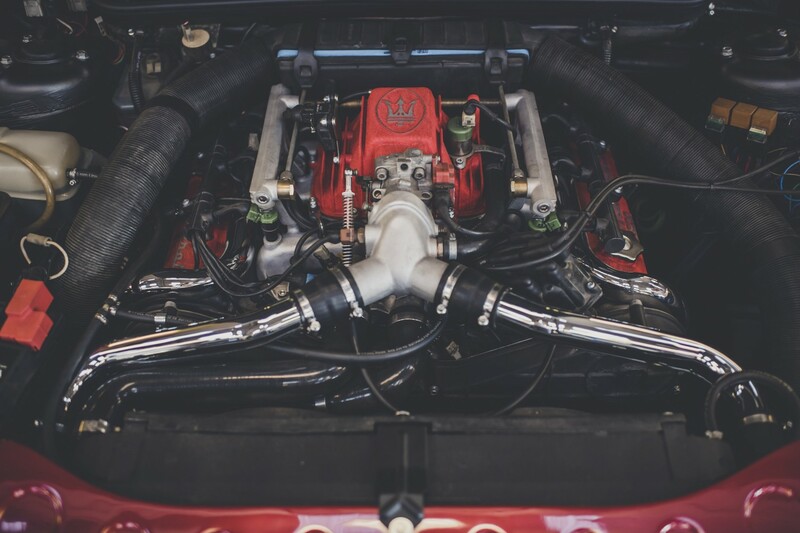 No engine modifications were necessary as the fuel-injected 3-valve is a fantastically gutsy and reliable power unit, always the heart of these cars. The suspension however was uprated using new coil over units front and rear, made to the owner’s specification by Ohlins. And he also specified the wheel design himself, again with reference to original Maserati designs, but subtly enlarged and updated for better tyre choice. Finally, the brakes were uprated using Tarox discs and six-pot calipers.